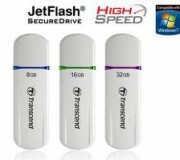 Transcend JetFlash JF620 USB Flash Drives have a 11mb CDFS partition containing SecureDrive and other files.Many people do not want this CDFS partition.Officially this CDFS partition cannot be removed or modified.However there is a way to remove or modify this CDFS partition. 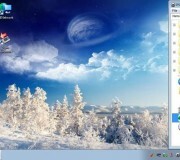 A guide for beginners to create a customized version Windows PE using MakePE3 without Windows Automated Installation Kit and the Windows Install DVD.All you need is a genuine copy of Windows 7 installed on your computer. 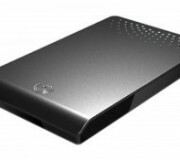 Windows could not read a faulty Seagate FreeAgent Drive.However Linux could read the same faulty drive without any problems.All the data was recovered using Ubuntu 11.04.No special recovery software was used. 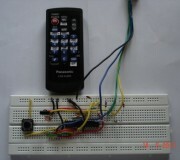 HIDIR (Human Interface Device Infrared Remote) is a USB HID Device which simulates a HID Keyboard and enables short range wireless control of computers using Consumer Infrared Devices.It can be used on any computer with a USB port.It does not require any special drivers to be installed. Fbinst is a USB Flash Drive Formatting tool.It can create universal bootable USB Flash Drives which can be booted on different BIOSes.It creates a special disk layout on your bootable USB Flash Drive making it more compatible with old and troublesome BIOSes.